Ching-Ying Chien was born in Taiwan and graduated from the National Taiwan University of Arts. 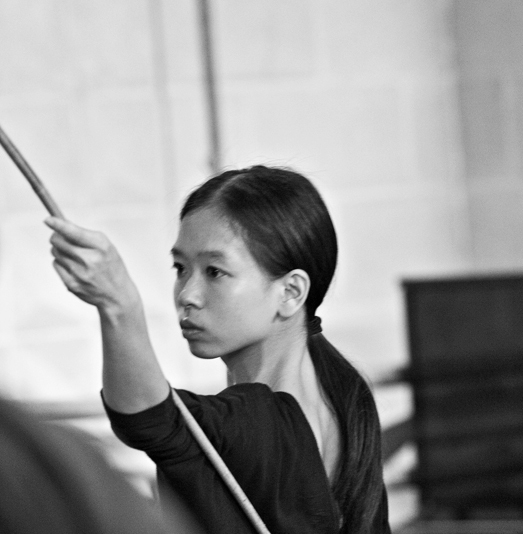 She has collaborated with choreographer Fang-Yi Sheu and has created work with numerous Taiwanese choreographers. For Chinese artist Cai Guo-Qiang, she worked as a physical model during the production of his Day and Night – a large-scale gunpowder drawing. Since 2013 she has been working with Akram Khan Company, devising material and performing in iTMOi (2013) and Until the Lions (2016). In 2017, she won the “Outstanding Female Performance (Modern)” award for her performance in Until the Lions at the UK National Dance Awards. This year, Ching-Ying was selected by Company producer Farooq Chaudry to create a solo for our talent platform for budding choreographers Portraits in Otherness.